A Service Agreement should always include a provision that will address the independent contractor status of the supplier or service provider. Such provision is very important to incorporate in the contract to protect the customer’ s interests , confidential information as well as to limit its liabilities. An independent contractor is defined as the person or corporation that provides its services according to its own procedures, processes and methods without being subject to customer’s control except for the desired results ad mutually agreed upon by the parties in the service agreements. What is an Independent Contractor Clause? An Independent Contractor Clause is a clause in the contract between the parties expressly stating that one of the parties is acting as an independent contractor in rendering a service to the Client. 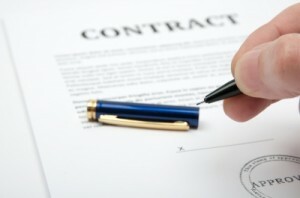 To ensure that the customer the interests of both parties are fully protected in the agreement, the following is the model clause that parties may adopt in the their agreement: It is an express intention of the parties the relationship established by this agreement is that of independent contractor. Parties will not represent themselves to be officers, employees, agents or representative of the other party. Nothing in this agreement will create or shall be construed to create a relationship of partners, joint venturers, fiduciaries, or any association for profit between and among the parties. Customers which are dealing with independent contractors are encouraged to incorporate a non compete / non solicitation clause to ensure that their confidential information is fully protected. A non compete/ non solicitation clause clause will usually prescribe the following conditions: 1. Contractor will not provide similar services to a competing business within the specified areas. 2. Contractor will not independently work with Customer’s clients during the term of the agreement with Customer. The following is an example of non-solicitation imposed on independent contractor: During the term of agreement and for a period of one (1) year thereafter, Contractor will not solicit the services of any of Customer’s employees, contributors, content providers, suppliers or clients. Contractor acknowledges that it shall not directly or indirectly compete with the business of the Customer within the prescribed term under this clause. Contractor acknowledges that it will not attempt to hire, or employ any person employed by Customer or employ any person who has terminated its employment with Customer. However, not all contractors will agree to the foregoing terms since the same will definitely impose certain restrictions on the contractors. Despite any objections that customers may receive from the contractors, customers should push for the inclusion of non- solicitation to ensure that its trade secrets and confidential information will be protected. Does your Service Agreement have an Independent Contractor Clause? What are the other benefits of having an Independent Contractor Clause in a contract? Give us your comments below.